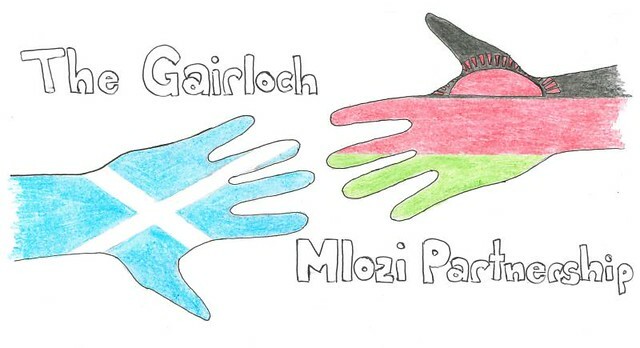 Malawi Partnership – Gairloch High School’s partnership with Malawi has now been in existence for almost 5 years. In that time, we have been fortunate to gain two significant grants from the British Council which have enabled some staff to visit Malawi, and, memorably, for Malawian teachers to visit Gairloch. The second grant we received was supposed to last for 3 years but unfortunately the programme was terminated after our first year. Such funding is no longer available. Towards the end of last year, our two schools agreed that we wanted our partnership to continue as planned despite the more difficult circumstances. This will entail more fund-raising than has been necessary in the past and we are actively seeking to raise some of this outside the local area. We hope the local community will support our efforts and also enjoy the events we are planning! Click here for details. Inter-house Orienteering – In recent weeks, the S4 Sport and Recreation class have been getting to grips with event organisation as part of their course. 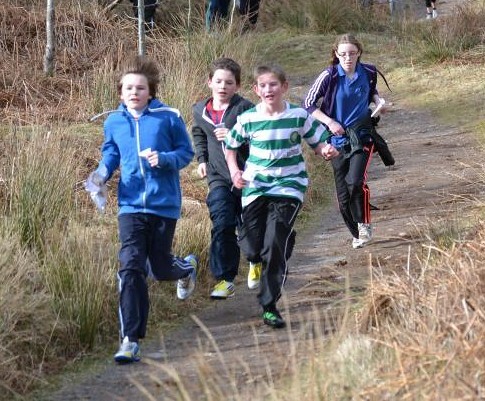 Their task was to organise and run an orienteering competition for the S2s. In the planning stages, they spent an afternoon at Flowerdale assessing the area for suitable control points. They had to draw the controls onto a map, write descriptions and gather together all the equipment. They also had to learn how to complete a risk assessment form and write a safety briefing based on this. 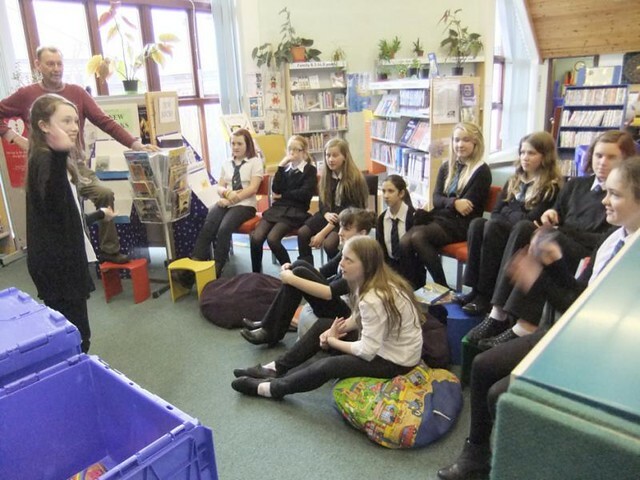 With everything in place, the S2 pupils were let loose in Flowerdale on Tuesday afternoon. Beth and Carla delivered the safety briefing at the start, making sure that the competitors knew that they must stay with their partner at all times and that they must return to the base at the correct time. Forty-five minutes later… they were all back – and Mrs Johnston breathed a sigh of relief! There were, however, reports from the marshals around the course that some pairs had split up, despite clear instructions not to. The S4 pupils decided that those pairs should be disqualified – a difficult, but mature decision, sending the message that ‘cheating’ doesn’t pay. The rest of the year group showed great competitive spirit and enjoyed the event. The winners with 135pts were Andrea Wood and Annie Maclennan for Tollaidh, closely followed by Mark Mclean and Laura Russell of Kerry with 130pts. There was a tie for 3rd place between the Maree pair of Eilidh Johnston and Lucas Jackson and Louie O’Brien and Alexander Maclean of Tollaidh, each scoring 120pts. Congratulations to them all. Well done to S4 pupils Jake, Jerome, Carla, Beth, Craig and Paul for running this event. 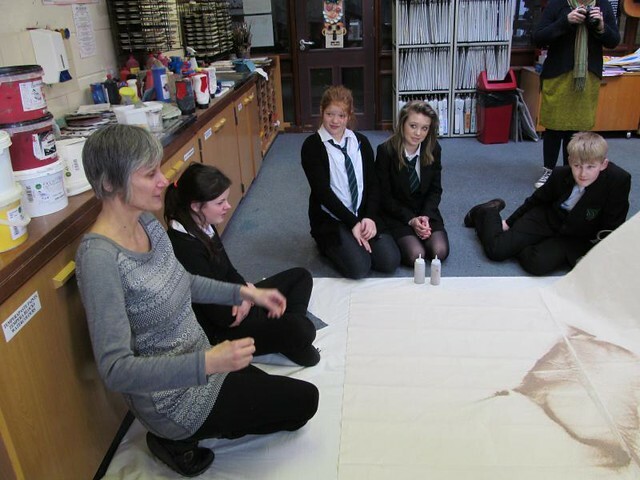 Art Department – Pupils in S1 have been fortunate to have the opportunity to work with Karen Rann, the Heritage Museum’s Artist in Residence. Karen is working with a variety of local groups of different ages and backgrounds and intends to exhibit this work towards the end of April. Karen has been working on a theme relating to the sea and in particular the traditional fishing industry. She has been using objects associated with the sea and getting the pupils to draw in a range of scale. In the first session, the pupils drew on a larger scale using sand, making individual and group drawings, using large pieces of sail canvas as paper. The children responded particularly well, enjoying the freedom and creativity of working with a less controlled medium. The drawings were soon disarranged scooping the sand into the middle of the sail fabric, demonstrating the ephemeral nature of the work. The pupils shared individual stories and poems relating to the sea with the group, meanwhile Karen recorded these individual, sometimes very personal and interesting stories. The pupils then transferred their drawings on to acetate, which Karen projected up on to an overhead projector to make light drawings. Pupils added other objects, such as nets, feathers, seaweed and liquids to get some interesting effects and compositions. Overall, this was a very worthwhile experience, giving the pupils an opportunity to work with an experienced artist in the community. The pupils’ work can be seen on the school website and further work showing Karen’s Residency can be found at PictishFish.wordpress.com. There will be an exhibition of the work created with Karen and various community groups at Wester Ross Woodwork, formerly MacRae Gairloch Fish Processing Building, on Friday 26th April. Our pupils will certainly be going along to see the exhibition. 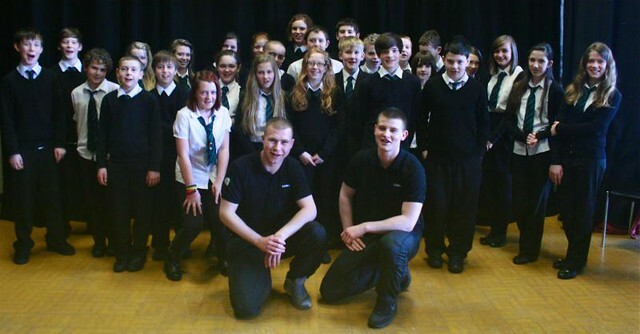 Overcoming Theatre Visit – On Wednesday 6th March, S1 pupils were intrigued to be sent to the hall, without explanation. They were then treated to a performance of – at first – a bizarre 2-person drama performance entitled “Being”. This young educational theatre company is putting on 100 performances in 50 days, in venues all across the UK. Each performance lasts ½-hour, and explores the way that man has used communication from the beginning of time. This includes a depiction of homo sapiens learning to use touch, an excerpt from “Julius Caesar”, a scene in a gents’ clothes shop and text messaging in the present day! There was much room for thought after the performance, as well as a few laughs. The 2 young men who performed for us talked about their brand of “Physical Theatre” and its connection to dance. They also made a plea for everyone – boys and girls – to get involved in as much drama as they can. Many of our S1s are, in fact, part of Flumgummerie, and were pleased to let them know that, although not on the school curriculum, drama is alive and well in Gairloch. The young men left to head off to Fort William for the next performance, complete with their broken tent, which blew away in the strong winds of Wednesday morning! World Book Day Celebrations – The library was quiet yet animated for the recent World Book Day (7th March) celebrations. To mark the occasion everyone was invited for a game of Book Charades. Game host Mike Webber explained the rules and gave little tips to the performers when needed. Books were hidden in big blue boxes on tables behind a performer who opened one and then proceeded to explain the book’s title without speaking, using mime and gestures only. The first person to guess correctly became the next performer. The following titles were included, have a go at book charades yourself! Guardian Angel, The Gladiator, Dizzy, Burned. Comic Relief – Red Nose Day – Pupils and staff dressed in red and collected money for this successful national charity event. 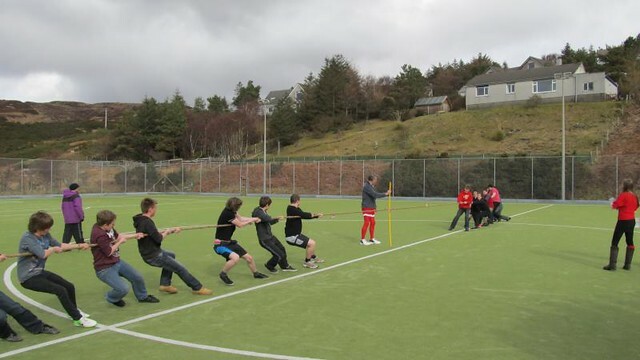 Events were organised by S6 Prefects and pupils donated £220 to take part including tug o’war at lunchtime on the all weather pitch. Well done to all involved. Important Dates – Available here on the school website. Duke of Edinburgh’s Award – Three S4 pupils were awarded their Bronze Duke of Edinburgh’s Award at assembly recently. Congratulations to Ceitidh Alice Hulme, Catherine Wyatt and Craig Whyte on their effort and success in achieving the award. Gairloch/Malawi Partnership – In the October holidays this year, a group of ten pupils and four teachers are hoping to travel to Mlozi School in Malawi. The purpose of this trip is to strengthen ties with our link school and develop joint projects with the pupils. The visit will increase our awareness and understanding of life in a developing country. We will experience school and village life and work collaboratively with Malawian pupils on joint projects and share aspects of Scottish culture. We hope to bring back knowledge and experiences which we can share with other pupils in the school and therefore share what we have learnt. We also hope to share with the community here. In preparation for the trip the group will take part in a number of team building exercises and also fund raising events. We are organising events between now and October to try and raise money to enable this partnership between our two schools to continue. We hope that friends and family in the community will support this project that has, in recent years, become an important part of our education in Gairloch High School. On the 6th of April we are holding a fund raising evening at Ocean View in Laide. 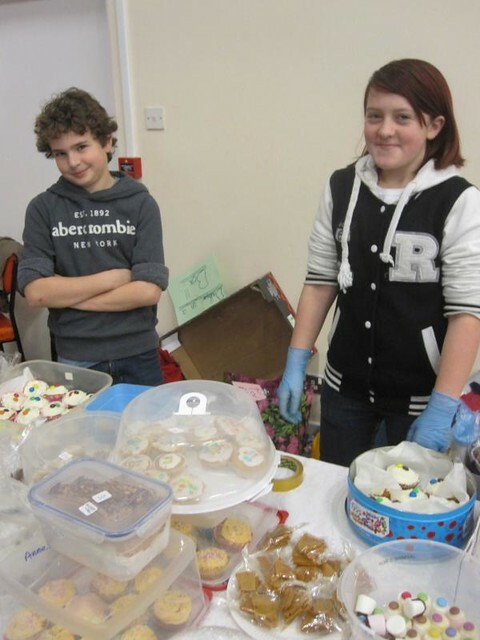 More details of this and other fund raising initiatives will be in the next issue of the Gairloch and District times. Gemma McLean, S5. Basketball – Gregor Vickerstaff and Sara Johnston took part in the Highland Bears Under-13 Basketball Tour of Ireland in the February holiday week. Basketball is a huge community sport in Ireland. They played some really good teams and enjoyed great Irish hospitality. Some of the games were desperately close! Here is Sara’s account of what happened follows. Ireland Basketball Tour by Sara Johnston – In the February half term I travelled to Ireland with the Highland Bears Basketball Club. On Friday the 14th we played our first game against Templelogue, a very strong team in Dublin. It was a very close game all the way through however at the end we lost by 1 point. We started off with 7 players (2 subs) however near the start 1 member of the team sprained her ankle, we were down to 1 sub. The next day we played 2 games, the 1st game was against Killester Kubs. It was a very physical game however we won. The next game was against the Ulster Elks, a team from Belfast; unlike the game we had played on the first day we won by 1 point. Our last day we played Dublin City University Saints. We were all very tired and unfortunately we lost the game. We got up early on the Monday travelled back to Scotland. Gregor Vickerstaff was also on the trip playing for the boys. They won 3 out of 4 of their games. I really enjoyed the tour and hopefully we will get to go again. Inverness Music Festival – Alasdair MacDonald, S2, took part in two accordion competitions on Saturday 23rd February 2013. He went on to win both competitions and, due to his winning mark in the 2nd competition, he has been put forward to take part in the Curtis Craig Competition, which will take place at Eden Court Theatre, on the 6th March at 7pm. Dance Workshop – On Friday 1st March, Heather Cooney from Eden Court delivered a three hour dance workshop to a group of 30 girls. Following a warm session, the group explored a variety of dance styles. Heather taught them all a routine, then in small groups they personalised the dance with some of their own choreography. They then tried their dance to a number of different pieces of music. At the end of the session, each group performed their version of the dance to the rest of the girls. The girls really enjoyed themselves and would like to do more dancing! Upcoming Important Dates for School events – Click here for the school calendar. S1 Nethybridge and selected charities.